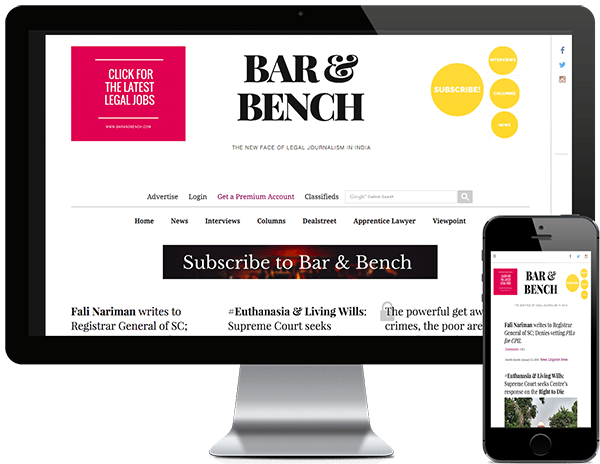 Bar & Bench is the most prominent legal journalism website in India covering news related to Indian legal system. It’s a high traffic, subscription based, content heavy website. The needs of a high traffic website are unique. Bar & Bench was looking for a reliable WordPress development partner to help them with the right advice, good support and technical capability to manage a complex website. Our ongoing work with this website has involved WordPress migrations, setting up better support processes, payment gateway integrations and custom WordPress development. Want to learn more about how our WordPress monthly retainer service? Get in touch with us.